In these modern times we live in, we’re all far more conscious of our personal footprint on the globe. With limited resources and sustainability issues coming to the fore, this has impacted on consumer decisions of all kinds; including wedding planning. As a result, eco-friendly weddings are on the rise. But what’s the deal with ‘going green’ for your big day? Here we look at the growing trend in more detail. What is an eco-friendly wedding? 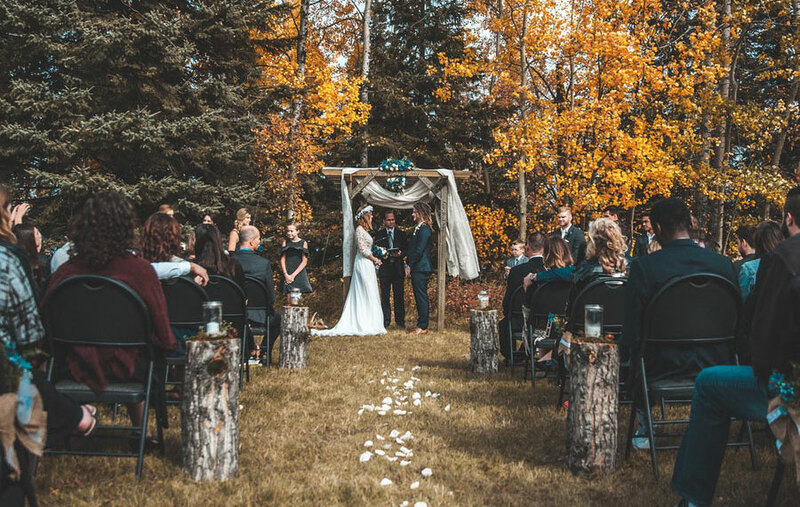 Defining an eco-friendly wedding; It is a celebration that is mindful of its impact on the environment. It means that the happy couple take steps that are more considerate of our resources; ranging from recyclable wedding invitations to locally sourced produce. You may prefer to opt for a wedding venue that is committed to social responsibility. For instance, a hotel that has a comprehensive recycling scheme, or rewards guests for re-using towels. Or perhaps, it’s a luxury wedding venue that prides itself on locally sourced foods that are grown to a high ethical standard. Venues such as the one below are natural and the perfect for having an eco friendly weddings, a rustic natural feel in the great outdoors. Did you know that using local vendors can help reduce your carbon footprint? From choosing locally sourced goods, from flowers to food, it’s also great in supporting the local community too. Ask your wedding venue if they can recommend eco wedding suppliers local to you. Be sure to check out all supplier’s credentials to see if they are respectful of conserving energy and waste as a rule of thumb. Great for your wedding budget as well as the environment, there are plenty of ways you can re-use clothes, jewellery and products for a second time. For instance, you might borrow a family heirloom instead of buying more jewellery. Take a trip to the local market or charity store to see what hidden treasures you can dig out for your wedding. Eco-fashion is big business, and there’s tons of preloved wedding dresses available in the market. There’s also plenty of designers that use environmentally friendly materials, such as The Conscious Bride. Likewise, it’s not uncommon for groomsmen to hire suits either. Weddings often feature ‘something borrowed’ so use the opportunity to its advantage! One way to curb unnecessary consumption is to hire items instead of buying them new. This could range from cake stands to utensils and chair decorations to fake flowers. Usually, these are kinder on your wedding budget too! It doesn’t take much effort to recycle goods, and yet this small action can have a big impact on our planet. 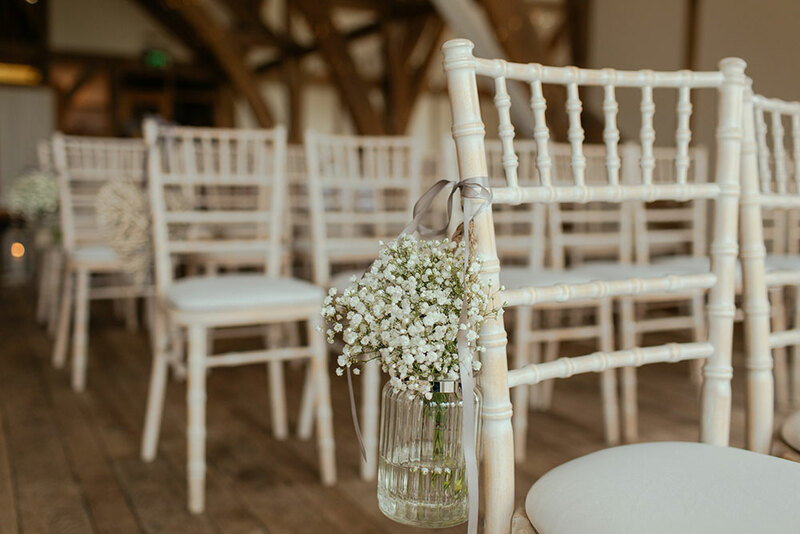 Work with your wedding venue to ensure that bottles and cans are recycled and that any leftover food is either given to staff or disposed of in a compost bin. From ‘save the dates’ to wedding invitations and ‘thank you’ cards – the amount of paper we use during a wedding can be quite alarming. There are eco friendly stationary designers that specialise in creating invites and print materials that are eco friendly. Using restyled card and paper, and eco friendly print methods. This style of invite is perfect for a natural and rustic feel ideal for boho style, or woodland weddings. You can even make smarter choices with your wedding rings. You can choose a vintage or antique diamond, or repurpose a ring that you currently have, as opposed to using yet more resources. There are even dedicated jewellers like Ingle and Rhode that pride themselves as ethical dealers, citing ‘traceability’ as one of their unique selling points making them ideal for eco wedding rings. Wedding favors are an opportunity to show what’s important to you as a couple. This is also a touching way to give back to the greater community. It might be a charity that’s close to your heart or a local cause. There’s plenty of options, including offering seeds from Action Against Hunger to pins for charities. Be mindful of the way you package your gifts, carefully avoiding single-use bags if possible. If you know a number of people will be coming to your wedding from a big city, you can put on a shared mini bus to cut back on consumption. Alternatively, you can invite guests to ‘car share’ to cut back on unnecessary fuel usage. Encourage guests to come by train by putting on a mini-bus from the local station, or even offering guest bikes for the weekend which can be hired locally at little cost. Central to an eco-friendly wedding is getting your guests to think about their choices too. One way to achieve this is by picking a gift list from an ethical company that uses recycled or repurposed materials, or products that are made from sustainable sources. You may prefer instead to ask guests to make a donation on your behalf to cause that you feel strongly about. As anyone with a wedding budget spreadsheet knows, flowers are rather costly! They can also be wasteful if abandoned without second thought. An alternative to cut flowers is using potted plants. These can be kept long after the wedding, especially if you opt for something different like herbs. If you do use fresh cut flowers, opt for organic types that use less chemicals in the process. You can also take inspiration from Prince Harry and the Duchess of Sussex who were kind enough to donate their flowers to hospice patients after the big day. Go for romance and all the feels with candles! By turning off the lights, you’ll save electricity too. This will need to be checked with your wedding venue reception, but it’s a subtle touch to round-off the perfect eco-chic wedding.